If you’ve been paying any attention to 2K Sport’s basketball for the past couple of years you already know that they have and are producing the BEST b-ball game you can buy. High praise from both media and fans has kept them on the mountain top, and without any competition this trend doesn’t seem to be changing anytime soon. With that said, I want to focus this review on the significant changes made this year and why you should care. 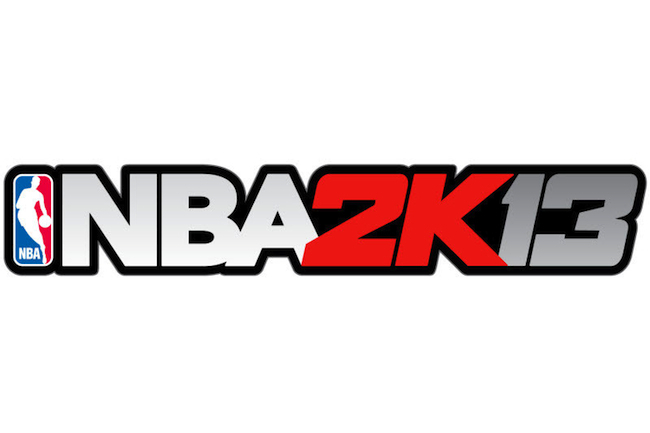 For the past three years, 2K has pulled some of the biggest names in basketball to help promote their game. The signing of Michael Jordan and then Magic and Bird to round out some historic teams gave notice to their fan base that they were serious about not staying pat on the innovation front. This year they went full monty by bringing on hip-hop mogul Jay-Z to executive produce the game. Many people, myself included scoffed at the idea of bringing on Jay. What would or could he really add to the game that gamers care about? Is this just 2K adding a huge name for “front of the box” name recognition? Upon starting the game you quickly understand why they did it. You are treated to a montage of Jay doing his thing at a concert with interspersed gameplay clips. You can’t not get a little hyped up by seeing the mix of the two; it sets the stage for rest of the mash-up experience that is the presentation style of 2K13. Right before you start a contest you might be shown highlights of your favorite team, synced to an Eric B. & Rakim or Nas video. Behind the foreground menus you see equalizers pulsate in time with Jay-Z’s assembled soundtrack. They are small touches and I’m still not sure how I feel about them, but it is a interesting direction nonetheless. Music isn’t the only thing Jay influenced: he used his clout to get some future hall-of-famers to join the ranks as well. With a call or two, he not only got Scottie Pippen to add his likeness to the 92’ “Dream Team” but also snagged longed-for “Round Mound of Rebound” Charles Barkley who hadn’t been included in a basketball game since 1994. I’m not sure how Jay-Z’s inclusion has translated to direct sales and I’m not sure how those presentation flairs have come across to the greater gaming community but I will say that it might have put 2K in a weird predicament. Where do they go from here and how much bigger do you go without alienating your core fans? I suppose we will see what happens next year in this respect. There are still times when someone will walk in while a CPU vs. CPU game is going on and mistake it for the real thing. This is testament to all of the intricate motion capture 2K does every year. The thing that makes this installment so breathtaking is all of the in-between and collision animations they have this year. Going up for a contested layup more often than not will put you into a supremely life-like animation in which flailing limbs connect. It gives both players and the ball heft and weight; feet plant realistically while the inertia of gathered momentum moves players upward to the rim. It’s a beautiful game to watch. Players react realistically to getting hit and will sometimes react to those bumps by holding their heads or falling to the floor. Added facial animations, authentic celebrations from both teams and crowds add so much to the gameplay and feel of the game. They’ve even found a way for the first time in a basketball game to introduce playcalling, substitutions and technical fouls on the Xbox 360 via Kinect. Massive kudos go to 2K for stepping all these up in a significant way. 2K has added “VC” (virtual currency) to be the backbone of how you progress this year in the “My Player” modes and “My Team” modes. Usually things like this don’t ping my radar, but this is the first time 2K has gotten into the micro-transaction game. You can purchase VC or earn them in game to buy virtual goods like animation packages, clothes and other accessories for your player. Although I am not a fan of micro-transactions, it seems as if they have been tactfully implemented. This seems to be the most feature-complete game 2K has put on the market to date. From my experience, they have fixed a bunch of the online issues that plagued them for the initial month of last year’s release. Games I’ve played have been as smooth as you can expect from an online sports game and have been steady connection-wise. The removal of “My Crew” is disappointing but understandable. Lastly here are some things of note. • Some of the historic teams from previous years are missing. I truly don’t understand why this keeps happening? I wonder if certain players like Dr. J are only contracted for a year at a time and multi-year deals are too expensive. I think maybe if they put these teams in as DLC at a reasonable price, fans would be excited. Possibly doing a couple of era packs would suffice. • There are still some significant players missing. Everyone is still waiting for Reggie Miller. (C’mon Jay, make the call!) Other players like Manute Bol, Lattrell Sprewell, Derek Anderson, and Derrick Coleman haven’t gotten their due. • Why in the world is the All-Star Weekend DLC this year? To gate this behind pre-order DLC and then to not have it available day one is just not right. To top it all off, 2K didn’t make either the dunk contest or three-point contest playable online. It makes no sense and would have been so much fun. • We are still waiting for an EA “Gameface” equivalent on the 2K platform. I can’t be that excited for “My Player” if my created player — no matter how much I try — won’t look like me. The tech is there. I would much rather that than making shoes. • The removal of downloadable sliders is a heartbreaker to lots of folks who know that the game doesn’t always play to your liking straight out of the box. There are lots of dedicated folks in the NLSC and Operation Sports forums who take time to fine-tune them and help others out. The weird thing is that 2K has intimate knowledge of this, frequents those boards, but still omitted this feature. • Saving replays and screenshots in a high-res format would be nice, as both consoles and PC version accept USB disks. Why not let things export to the HD? Even with those niggling bits, 2K has again put out the most amazing display of basketball that you can purchase, a game that you can play long into the season and beyond. The jury is still out on the inclusion of Jay-Z, but again his influence has reached across multiple lines and actually made the game fuller on a gameplay level. If you are a fan, you need to play this game. There is no doubt that you will get your money’s worth. 2kSports Should Look To The Past For A Better Dunk Contest Experience. I have two vices: videogames and basketball, I’ve probably played every iteration of the digital version that you can think of. From Double Dribble to Slam-N-Jam 95′ the sport has seen numerous changes. With each technological advance we’ve seen a huge improvement in graphics, commentary, AI and physics. All this brings me to today’s topic: The Digital Dunk Contest. To show you where I would love to end up, let’s start at the beginning: in 1988 Jordan Vs. Bird had the first videogame dunk contest. The funny thing about it was the fact that you could only play as Jordan, so I’m not sure how it was really a contest. (But did you really want to play as Bird?) You were given a selection of ten dunks to choose from and relied on a timing meter to execute the dunk you wanted to perform. The game captured the likeness and signature moves of Jordan plus gave you a challenge while trying to pull off his dunks. I think I might have played this one aspect of the game more than anything else. Fast forward to 2005 and Electronic Arts is holding court with the NBA Live series. EA decided to go all-in with both the use of the NBA’s All-Star Weekend and Sprite branding. They also added specific commentary from Ernie Johnson and Kenny “bring out the the gospel choir” Smith. What made this version of the contest special was that for the first time you could bounce the ball off of multiple structures around the court, use different gathers and throw down some pretty awesome dunks. With minimal effort, it was still really challenging to the player. The multiple button layout of the Xbox made it easier to map specific controls to different moves, and it gave the player the ability to modify a standard dunk into a more spectacular one. And to say it looks a bit disappointing is an understatement. I will admit no one has seen the final product and I will hold final judgement until I get my hands on it, BUT the move to make it less interactive and more casual really is off-putting. A guitar hero-esque highway that requires nothing but follow-the-number button pushes is the last thing most basketball fans would want. So let me run down a couple of things that are needed for a fun, engaging and challenging dunk contest. ATMOSPHERE: The venue, having the dunk contest in an actual stadium with all branding helps a great deal with this and I’m happy that 2k finally has this in the new game. SOUND: Kenny Smith can be your ace in the hole and also the land mine that blows up the whole shebang. If you listen to the hype that he brings in the clip below, you see how much it adds to the experience. It has just the right amount of energy and is very contextual. It makes you feel like you are watching a live event and not a bunch of stitched lines of dialogue. Also most importantly the crowd needs to sound excited or disappointed about whatever dunk is done or awful judge score is given. If you’ve watched the past couple of years’ contests you can tell just how a dead crowd kills both the dunker and your personal viewing pleasure. INTANGIBLES: This is the part of the article where I play “All of the Lights“. The smoke, flash, player intros, full motion video, overlays, and even music should be blown out. Make it flashy but realistic, make props cool and fun, stop making the court look like they are fixing potholes for your local utility company by giving them construction obstacles to jump over. Introduce a human prop, maybe try to incorporate tandem dunks or wearable items. CONTROLS: Here is where the I think 2k can make their mark by taking a page from an old NBA Live book. The controls in the Live 95′ version could be tweaked and updated. Put in a couple more modifiers and make navigation easy with a decent video tutorial and you could absolutely have a winner. Making the player feel like they are an active participant is the key to making any dunk contest viable and should be the first things developers prioritize. Check out these last two videos that pretty much sum up what I am hoping for in a new dunk contest — pay close attention to the audio and presentation and imagine what an NBA2k13 or next-gen engine would bring to the table. If you have any additions or suggestions please leave them in the comments or hit us on Twitter or G+.